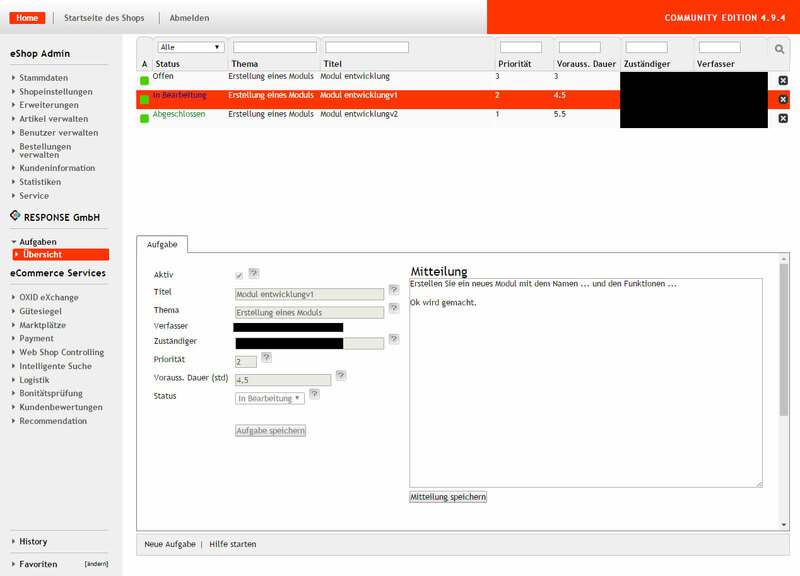 OXID eXchange | Backend Taskmanager 1.0.0 | Stable | CE | 4.7.x - 4.9.x | Module, Themes, Language Packs direkt herunterladen! 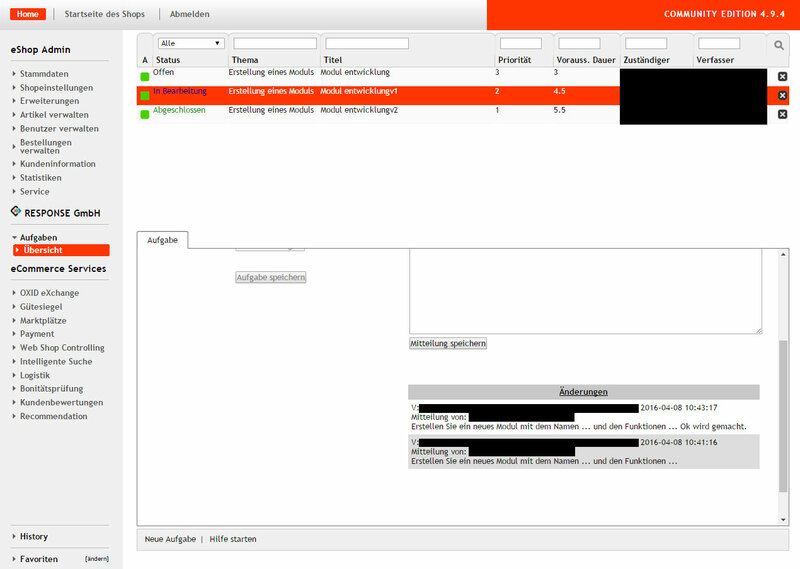 The Task Manager Module allows you to create and manage Tasks in OXID eShop Backend. It offers you numerous possibilities for the planning/management of tasks. You can easily create your Task over the OXID eShop Backend.